Microsoft Office for Mac provide the best of both worlds for Mac users - the familiar Office experience paired with the best of Mac. It's features a full Retina display support, making your Office documents look sharper and more vibrant. Microsoft Office for Mac is cloud-connected, so you can quickly get to the documents you’ve recently used on other devices and pick up where you left off. With built-in document sharing tools, it easy to invite teammates to work on a document together. When sharing documents, you won’t have to worry about losing content or formatting, as Office for Mac offers unparalleled compatibility with Office on PCs, tablets, phones and online. * Microsoft Office 365 is a subscription service that includes the most recent version of Microsoft Office, 1TB cloud storage, and Office mobile apps. 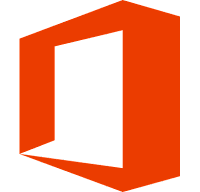 Disclaimer: Direct downloads for the lastest version of Microsoft Office for Mac 15.36.0 (17070200) are provided by the official software's author, we can't guarantee safety, availability or download speed. Moreover, we don't and we won't provide any pirated/illegal versions or tools. We recommend you to avoid it as these methods can harm your device. If you like the software, buy it to support the developers. (We provide software discounts for many worldwide brands).